My city composts. I love it. I have the big compost bin out on the side of my house so the neighbors and area lawn care people can also use it. It’s great! Except the people walking their dogs put their little plastic bags of doo-doo in the compost bin as well. This is a problem. 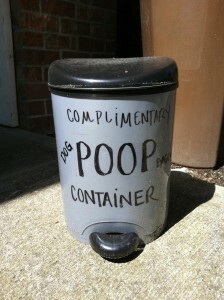 So I think, maybe the Dog People don’t understand that this is a compost. I will educate them! And so I make a nice laminated sign explaining that this is not a garbage can, but a compost bin. My sign had “No Dog Poop Allowed!” in big, bolded letters. I felt proud of my sign and was sure the problem was solved. But nooooo. Little plastic bags of dog doo-doo showed up in my compost bin the very next day. The offender even had to look at my sign while opening up the lid! I was filled with resentment and righteous anger and even hostility. I did not like how I was feeling about my neighbors one bit. I looked at someone walking their dog and glared, wondering if they were the one defiling the compost. Not good energy at all. I took it to prayerful meditation to surrender the anger. I knew rationally the Dog People were not out to get me. I’ve had the privilege of being owned by a dog before… remember back… So I walked around my neighborhood trying to get in the mindset Dog People. I learned that only garbage-like receptacle within a three-block radius was my compost. 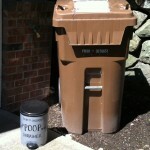 Just as the neighborhood needed a compost bin, we also need a Dog Poop Receptacle! Off I went to a home improvement store where I bought a modest-sized bin that has one of those lids where you step on the lever and it pops up. After all, if you’re walking a dog, you most likely have a dog leash in one hand and a plastic baggy in the other hand. I no longer felt resentful of the Dog People. I felt a joyful love of them. I wanted to help them. 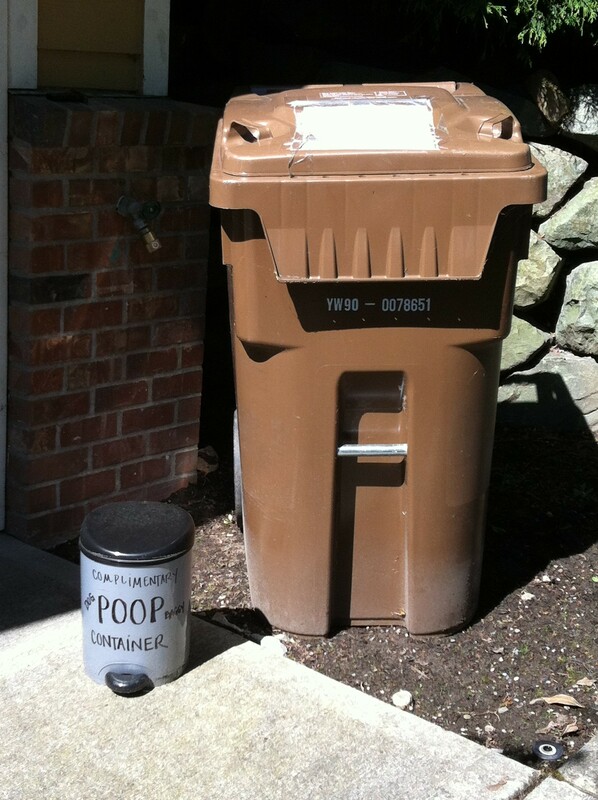 I took the new receptacle home and decorated it with the words “Complimentary Dog Poop Baggy Container.” And I placed it right next to the compost. Yes, I sat by the window and watched to see what happened. The very first Dog Person, stopped, read the container, chuckled and then put their plastic baggy in the desired container. Joy! Success! I am happy to report that there have been no instances of plastic baggies in the compost. I have received a thank you card and a sweet post-it note on the Complimentary Dog Poop Baggy Container. I’ve seen people stop, look at the container and either laugh or scratch their head. At first the neighbors seems curious about me every time we crossed paths. Now there is a sweetness between me and the Dog People. I take care of them. Now it’s your turn. 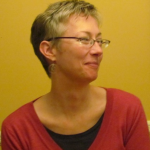 What is the “dog poop” in your congregation? The problem that doesn’t seem to go away even when you put a detailed, explanatory sign on your compost? How can you reframe the issue? What do you need to learn? What do you need to change in your own behavior? What is your equivalent to walking around your neighbor to get see what’s really going on? And finally what is your Complimentary Dog Poop Baggy Container? 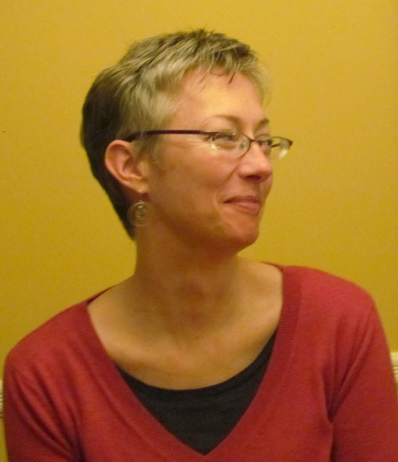 Tandi Rogers compulsively sees connections between religious community and wider world everywhere she goes. Her quirks are working for you. Great example of an adaptive response! Great idea! I have long been saying that if all of us dog owners put little cans for dog poop out for each other, we would make our lives a lot easier. Walks would be more pleasant and less smelly, and for those who don’t pick up or just leave the baggies all over the place, we could make it easier for them to do the right thing. I like the metaphor. Do you have a church example to share as well?